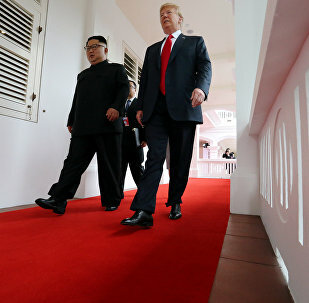 Trump and Kim are scheduled to meet at Hotel Capella in Singapore for a historic summit on June 12. 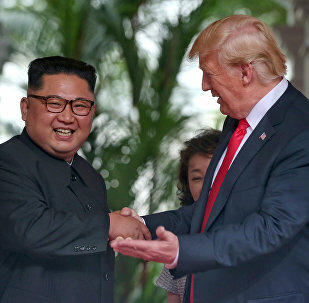 During the event, the two leaders are expected to discuss North Korea's denuclearization, the establishment of bilateral diplomatic relations, and other issues. The meeting almost got canceled by the US side after North Korea protested against US-South Korea's joint drills. However, the summit was later reinstated. 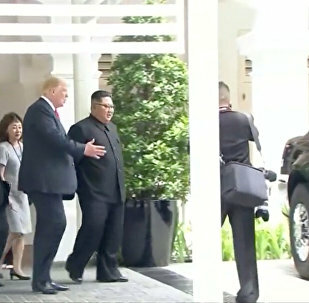 Both Trump and Kim have arrived in Singapore and have already held separate meetings with Singapore's Prime Minister Lee Hsien Loong. 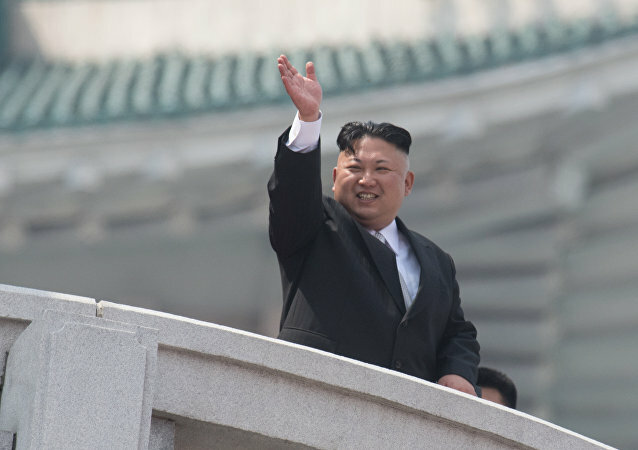 MOSCOW (Sputnik) - North Korea's state-run Central Television aired an account of their leader Kim Jong-un's trip to Singapore and his meeting with US President Donald Trump, Japanese NHK broadcaster reported on Thursday. WASHINGTON (Sputnik) - US Secretary of State Mike Pompeo said the United States hopes to achieve complete denuclearization of the Korean peninsula in two-and-a-half years, ABC News reported on Wednesday. 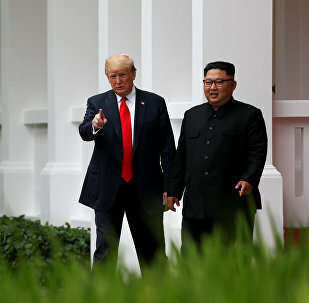 WASHINGTON (Sputnik) - The United States will scrutinize very closely the process of denuclearization of North Korea, US President Donald Trump said after the summit with North Korean leader Kim Jong-un. Stranger things can happen. 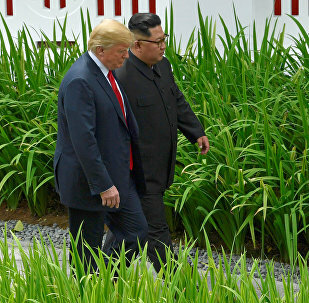 Maybe – just maybe – the United States and North Korea can find a way towards securing a lasting peace – despite being sworn enemies for the last seven decades. 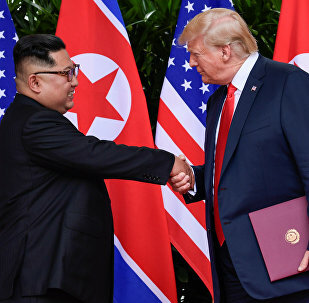 WASHINGTON (Sputnik) - The agreement reached between US President Donald Trump and North Korean leader Kim Jong-un after a historic summit in Singapore is the direct result of Trump's courageous leadership, Trump campaign senior advisor Lara Trump said in a statement. 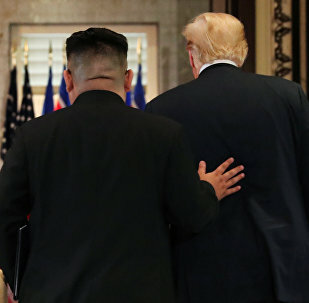 The Oxford dictionary definition of the adjective ‘momentous’ is as follows: ‘Of great importance or significance, especially in having a bearing on future events.’ It is therefore a word that could have been invented with the Singapore summit between Donald Trump and Kim Jong-un in mind. MOSCOW (Sputnik) - Singaporean Prime Minister Lee Hsien Loong has congratulated US President Donald Trump and North Korean leader Kim Jong-un on the successful conclusion of their much-anticipated bilateral meeting. MOSCOW (Sputnik) – The joint statement signed at the historic US-North Korea summit gives a clear signal that the goal of complete denuclearization of the Korean peninsula can be achieved, EU foreign policy chief Federica Mogherini said Tuesday. 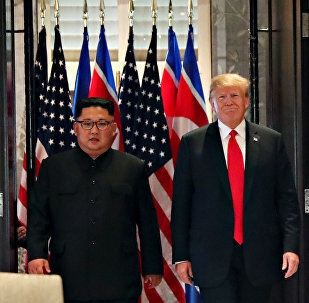 MOSCOW (Sputnik) – The world is "one step closer" to peace on the Korean peninsula following the success of US President Donald Trump’s summit with North Korean leader Kim Jong-un, US Vice President Mike Pence said.